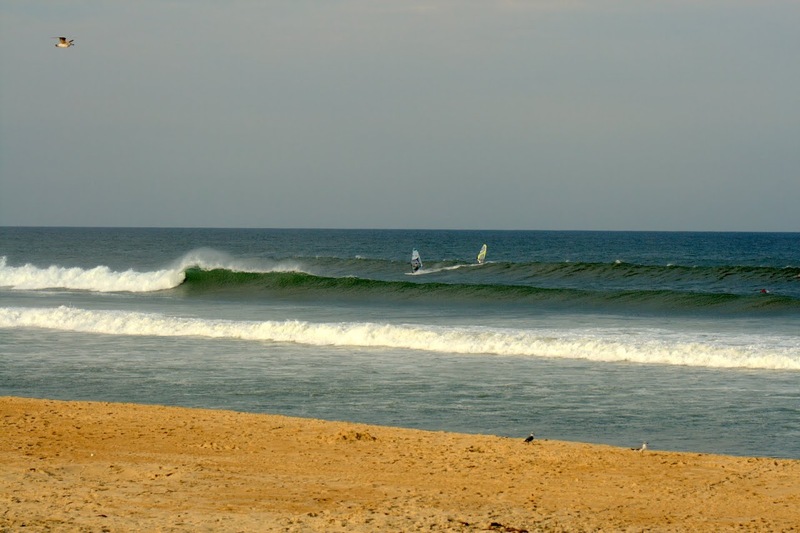 Bill's OBX Beach Life: Big Swell from Leslie Arrived for Some FUN Light Air Wavesailing! Big Swell from Leslie Arrived for Some FUN Light Air Wavesailing! We need a bigger lens! H Leslie's SE swell arrived yesterday creating large outside set waves. The conditions were perfect for light air wavesailing with big gentle rides on the outside. Ralph, Keith, and I caught it in Nags Head at Conch St across from Brew Thru Jr near Jockey's Ridge. 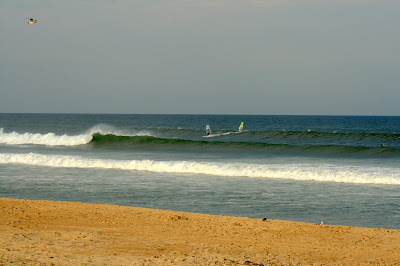 The setup had the best surf conditions on the islands with super clean "Disneyland" style surf! The inside was tough with moderate current near zero apparent wind inside, but with some timing and a little luck, you could sneak out between the sets. Today, we expect a repeat of yesterday with hopefully more wind. If we can top 20mph+ from the SSW at Coquina Beach, it could be really epic/world class Maui-time wavesailing on the OBX! Rmp 30 the OBX Magic Surf Spot This Summer? !